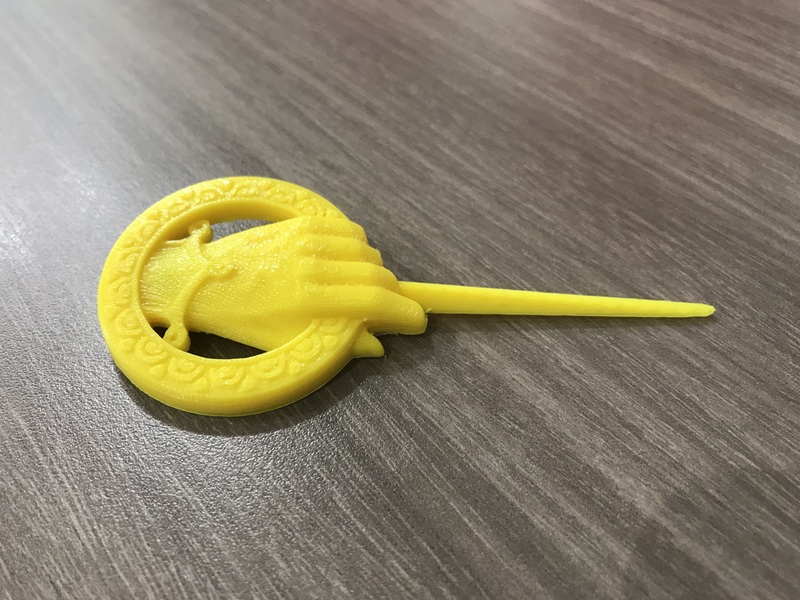 3D Printing Thursday this week is the Hand of the King Pin from Game of Thrones! We are getting excited for Season 8’s release on April 14th. In honor of Fred’s last day with us, he got to wear the pin today! Keep up with our social media channels @gravitycomo and our website gravitycolumbia.com for more 3D Printing Thursdays in the coming weeks!